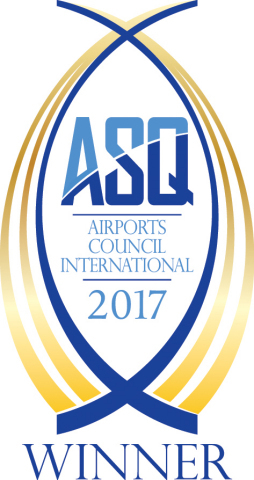 MONTREAL--(BUSINESS WIRE)--Airports Council International (ACI) World announces the winners of the prestigious 2017 Airport Service Quality (ASQ) Awards . This year an unprecedented sixteen airports are first time winners, challenging best- in-class airports in top-quality customer service. This phenomenon reflects the increasingly competitive air travel business, where continuous service improvement is a key ingredient to performance. First-time winners this year are: Rome Fiumicino (FCO,) Newcastle (NCL), Athens (ATH), Zagreb (ZAG), Bandung (BDO), Indore (IDR), Ahmedabad (AMD), Casablanca (CMN), George (GRJ), Toronto Pearson (YYZ), San Jose (SJC), Cleveland (CLE), Los Cabos (SJD), Belo Horizonte (CNF) and Medina (MED). Mumbai scoops first place for airports in Asia-Pacific serving over 40 million passengers a year. In North America, the top spot goes to Toronto Pearson and in Europe to Rome Fiumicino. ASQ is the only worldwide programme to survey passengers on their day of travel, measuring passengers’ views of 34 key performance indicators. In 2017, over half of the world's 7.7 billion travelers passed through an ASQ airport. 74% of the world’s 100 busiest airports are part of the ASQ network which delivers 600,000 individual surveys per year in 42 languages across 84 countries. The programme served 343 airports in 2017. 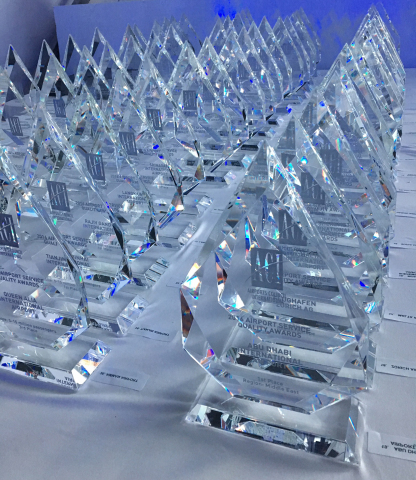 The ASQ Awards Ceremony will be held during the inaugural ACI Customer Excellence Global Summit , to be held in Halifax, Nova Scotia, Canada from 10–13 September 2018, hosted by Halifax International Airport Authority. View the 2017 ASQ Award Winners . 1. Airports Council International (ACI) . As of January 2018, provisional figures show that ACI serves 641 members operating 1,953 airports in 176 countries. Airports Council International (ACI) World announces the airport winners of the prestigious 2017 Airport Service Quality (ASQ) Awards.